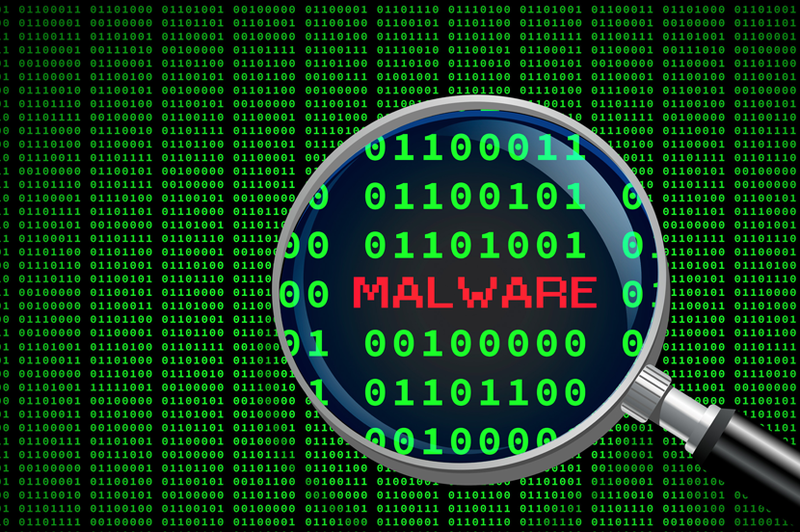 Malware, or “malicious software,” is a catch all term for software code designed to access or damage a computer, computer networks, tablets, and mobile devices, without the computer user knowledge or consent. In addition, malware can be used to encrypt, delete, or steal your information contained in the computer. There are various types of malware, including spyware, ransomware, viruses, worms, Trojan horses, adware, or any type of malicious code that infiltrates a computer. Cybercriminals do not have a preference when targeting a victim. They cast a wide net and look for vulnerable systems that respond. The top way for computers to become infected with malware is the Internet or via email. On the Internet 1 in 13 websites were found to be malicious. Going to the wrong website and clicking on a seemingly innocent link is all that is required for your system to become infected with malware. Downloading free software or attachments from an email message opens your system and data to possible theft. Email can be crafted to appear official coming from your bank, utility company, family member, etc. With wide spread use of social media containing detailed information that people post daily, cybercriminals can craft compelling messages targeted to specific taste of individuals. Raising the likely hood of an unsuspecting victim clicking or going to a malicious website. Everything is working as normal. Depending on malware type and function, it can run on your system stealing data without setting off alerts or causing noticeable damage. Cryptocurrency coin mining has drawn attention of cybercriminals. They use malware to infect systems and mine cryptocurrency with the computer owner’s knowledge. Smartphones are computers which you carry with you every day. Mobile devices are a vulnerable target to malware. At 2.3 billion smartphone users worldwide in 2017, the target group is enormous. The U.S. has 224 million smartphone users according to estimates. Most smartphone users do not think to protect the device as they do with laptops, or computers. Users are failing to update security patches on a regular basis. Since the screen is not usually on when the device is not being used, malware can be operating behind the scenes. With the increase of mobile banking, malware on smartphones presents a clear threat to financial and personal data. Games and mobile applications from the Google or Apple app store should not be downloaded without first researching the developers of the application. If your smartphone has become infected with malware, the safest option would be to do a factory reset of the device and restore from a noninfected saved backup. Keeping your computer or mobile device updated with security patches is vital. When going to websites, check the domain name to make sure it’s the correct one. If the name end in unusual letters other than .com, .org, .edu, it can be an indicator you are on a dicey website. Depend on the Internet browser you are using, as it can detect when you are on a known site with malware. Mobile device applications should only be installed from the Google Play Store for Android users or App Store for Apple users. Do not download apps from third-party sources. Before downloading an app check the rating and reviews. Also, check the date the app was published and last updated. On desktop and laptop computers users should install antivirus and malware detection software to protect their systems. The software should be able to scan the system and alert when an infection is detected. Remember to keep all software installs updated to reduce vulnerabilities.